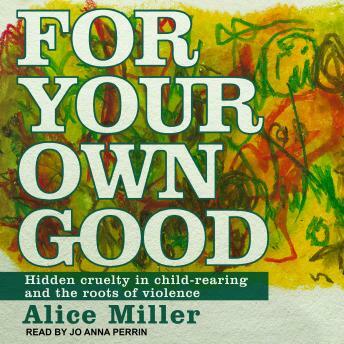 With her typically lucid, strong, and poetic language, Miller investigates the personal stories and case histories of various self-destructive and/or violent individuals to expand on her theories about the long-term affects of abusive child-rearing. Her conclusions-on what sort of parenting can create a drug addict, or a murderer, or a Hitler-offer much insight, and make a good deal of sense, while also straying far from psychoanalytic dogma about human nature, which Miller vehemently rejects. This important study paints a shocking picture of the violent world-indeed, of the ever-more-violent world-that each generation helps to create when traditional upbringing, with its hidden cruelty, is perpetuated. The book also presents listeners with useful solutions in this regard-namely, to resensitize the victimized child who has been trapped within the adult, and to unlock the emotional life that has been frozen in repression.